Moringa leaves are very phenomenal for efficacy & its benefits for the body. It can launch breast milk as well as healthy food intake for babies over six months. The content of Moringa leaves are good for Diabetes. As it is known that Diabetes is caused by extreme sugar levels in the body, may be hereditary or abnormalities or organ pancreas hormone Insulin from birth, unhealthy lifestyle causing Insulin malfunctioning. The contents of nutrients in the leaves of Moringa are complete enough so it has great benefits for the health of the body. Beta-carotene is a compound found in Vitamin A, which is very good for the body. 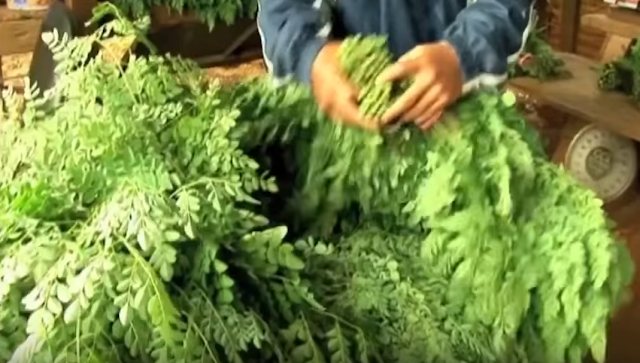 Moringa Leaves are very rich in beta-carotene even larger four-fold compared to the carrots. So, consume Moringa leaves to increase the Vitamin A intake. Very good for Diabetic Retinopathy, it also strengthens the cornea of the eye & also reduces the inflammation that causes the degeneration of cells in the eye. Calcium content in Moringa Leaves is 25 times higher than that in the spinach. Moringa leaves have at least 50 types of Antioxidants that are good for protecting the body against free radicals & disease. Oleic Acid is an acid that does not need to undergo the process of digestion to be absorbed & used by the body more quickly absorbed. Oleic acid is good for diabetes because it can be used as the main essential nutrients, especially if consumed regularly. The people with Diabetes are those with disorders for the Pancreas organ that produces Insulin & regulates Hormones. Normalizing Insulin hormone can be helped by Vitamin C intake is sufficient. It cannot fully restore normal hormone insulin but can help people with Diabetes to not worsen the Insulin. Vitamin C content in Moringa leaves is equivalent to 7 times the Vitamin C in Citrus fruit. This is very good for the pancreas organ that produces Insulin & regulates hormones. It is very good to help the process of secretion of hormone insulin in the blood to make diabetics more favorable. Vitamin E can nourish hormone Insulin & pancreas organ. It can help bring the hormone Insulin toward the cell membrane. How Moringa leaf " Miracle Tree " can cope with diabetes? Moringa leaves can overcome Digestive problems, Disorders of the stomach & intestine, Hypertension & others, because the level of anti-oxidants in the leaves are very high that the cells can regenerate the body faster & healthier. Existing content in Moringa leaves can reduce blood sugar levels as it is used as natural Insulin for the body., so when you inject insulin into the body also do not hesitate to consume Moringa Leaves. For those who do not suffer from diabetes also can prevent diabetes by consuming Moringa leaf vegetable regularly. Moringa leaves have anti-diabetic properties because it contains Zinc, that is indispensable in the production of Insulin. How to make a decoction of the Moringa Leaves? Wash 15-20 grams of Moringa leaves. Put in 3 cups of water & boil the water till it becomes 1 cup. Strain the water. Drink regularly 3 times a day.